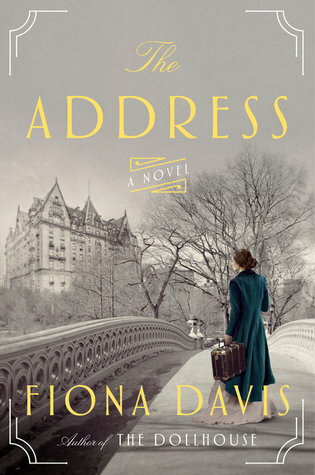 Told in the perspective of two different characters, The Address follows Sarah Smythe in 1884 as she is given the opportunity to become the lady managerette of The Dakota in New York City after a chance encounter with the architect Theodore Camden at her former job in London. The other perspective follows Bailey Camden in 1985, who fresh out of rehab is given the chance to start a new by her “cousin” Melinda to renovate her apartment, the former home of Melinda’s great grandfather Theodore Camden. Bailey, who’s own grandfather was the ward to Theodore, has always known the rumor that surrounds Melinda’s apartment; which is that the famed architect was murdered by a former servant of the Dakota, Sarah Smythe. But Bailey soon begins to uncover the truth behind that tale. One of the reasons I’ve hesitated to write some book reviews as of lately is that I haven’t really been enjoying some of the books I’ve been reading in the past few months. I feel as though most of these books have so much potential to be great but end up falling flat in the end. I also don’t love writing negative reviews. I find them unpleasant to write and never like trashing something someone has spent a lot of their time on creating. However if I want to keep my blog going I’ll have to write reviews that are both good and bad, and I always want to be honest about how I feel about the things I read. So with all that said The Address was not my favorite Historical fiction book. For starters I don’t love dual timelines. I find that if they aren’t written well I can get the characters mixed up or find it hard to follow. Also Bailey’s story wasn’t really interesting to me. I realize that she is used to uncover the mystery surrounding Theodore Camden’s death, but I could have done without her all together and purely had a story that only was told through the eyes of Sarah. Sarah’s story also takes a weird turn. 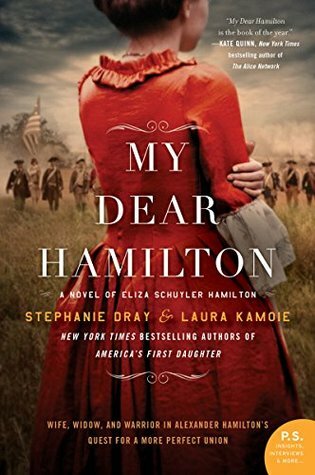 It is almost as though the author came across some interesting history during the time period and decided to add it in, but she speeds through it so quickly I wonder if it was even worth telling the story that way. In my opinion Fiona Davis could have found a better way to tell this part by going a different path. But what do I know? By the last one hundred pages I was ready to stop reading The Address all together. I had more or less figured out how it would end and had almost completely skimmed all the Bailey chapters to get to the end as soon as possible. I feel that if I’m going to read a Historical Fictional novel I would prefer it stuck to one time period instead of two. I know it is possible to have a dual timeline that works, for example The Wedding Dress that I read back in February did a nice job. And my all time favorite novel The Nightingale also does a nice job, but it only touches on a more present time period all of three times and mainly focuses on past. I guess what I’m trying to say is the author of The Address just didn’t have writing style I was looking for, and I know it could have been better. Maddie is married to Ellis, who comes from a very wealthy family. Maddie and Ellis financially depend upon Ellis’ parents until Ellis drunkenly embarrasses his father at a New Year’s Eve party and finds himself and his wife cutoff from the family fortune. Determined to defy his father, Ellis decides to do the one thing his dad could not which is to find the Loch Ness monster. With the help of their best friend Hank, Maddie and Ellis set out to Scotland in 1943 to find the monster. If you place any book in Scotland I’ll probably read it, especially a Historical Fiction novel. At Water’s Edge has both those elements and was an easy purchase to make. Finding the time to read it was a whole other story as it only took two years to finally pick the book up after I had bought it. My first impression when I had finished reading At Water’s Edge, was the author Sara Gruen does not have a fondness for husbands. This might be a slight spoiler to the novel, but Ellis is anything but a good husband (or person for that matter). And I make that comment because she also wrote Water for Elephants and the husband in that book was also an awful person. 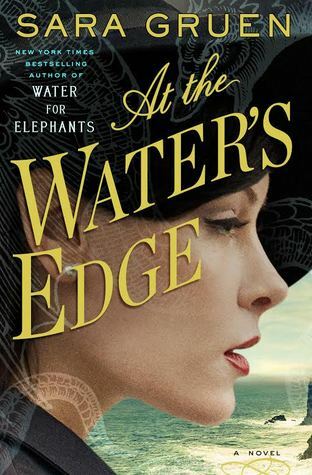 Though I’ll confess I haven’t read Water for Elephants, but I have committed the cardinal sin of seeing the movie without reading the book and in the movie the husband is a horrible person. So with that assessment I can conclude husbands in Sara Gruen novels equal not good people. After making that assessment (and small tangent), I found that At Water’s Edge was entertaining but not overall satisfying. 3/4 of the book is mostly build up to the climax of the story and then it quickly wraps up everything, which left me feeling a bit confused and as though I had been cheated out of the plot line. Sort of. Though I suppose it was set up that way because you are following along with Maddie and she is really naive and then suddenly enlightened by the end. Which is how I felt as the story unfolded. The story line is also a little odd and I’m not just talking about the fact that three rather wealthy Americans decided to hunt for the Lock Ness monster, but that they would be allowed to go to Scotland while a giant war is happening in the first place. At Water’s Edge is set in 1943, so literally smack dab in the middle of World War II, and they manage to be allowed to cross the Atlantic to go to Scotland. Call be crazy, but wealthy or not, there is no way any private citizens were permitted to travel to Europe during this time. Let alone be willing to do it. Though *gasp* I could be wrong. There is also the fact that Ellis and Hank aren’t serving in the military during this time because Ellis is colorblind and Hank is flat footed. Both men claim to be ashamed of the fact they can’t serve and are embarrassed by those who shame them for it. So logically why not go to the front lines of the war, obviously they’ll be super supportive of you….Oh wait! They aren’t. I just feel as though the author wanted the drama of the War but the story would have been better suited for about 10 years after, or it just should have been a World War II focused book. Honestly At Water’s Edge was not really what I expected. It is one of the better books I have read this year so far, but that isn’t really saying much because I have truly read some duds this year. The writing as a whole was pretty good and I like Sara Gruen’s writing, I just wasn’t fond of some of the plot holes that show up along the way. I think if you are looking for a book set in Scotland there are so many others you could choose from, so maybe pass on this one if you have another book in mind.